Kristine has 8 years of experience working with I.33 Sword and Buckler as a competitor, scholar and instructor. 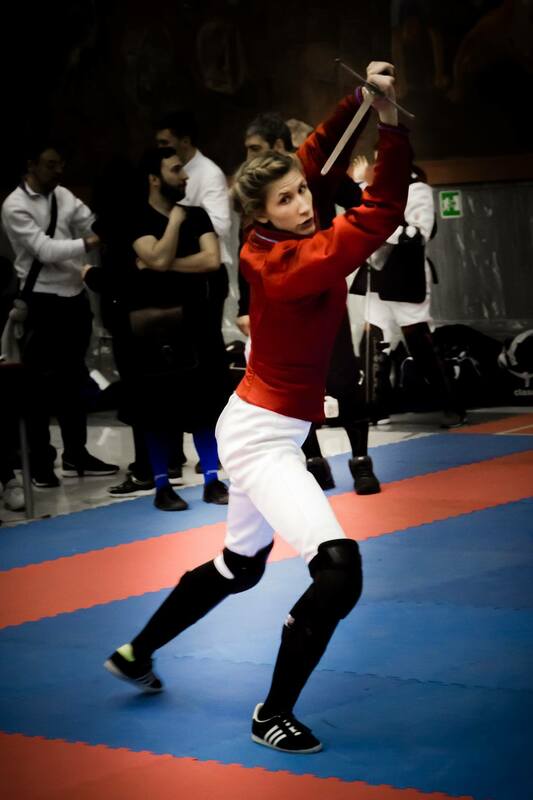 She has traveled through Europe and North America and Australia as an instructor for both Buckler and Italian Rapier. Kristine has a broad tournament experience with Sword & Buckler, primarily in open tournaments and she won her first tournament in Open Sword & Buckler at Swordfish in 2011. While her main interest is the more technical and interpretive aspects of I.33, her tournament experience has given her the opportunity to test theory in the ring that has led to a more nuanced perspective. In addition to teaching and competing, Kristine is a widely sought-out referee, primarily for longsword. A member of Norwegian club Frie Duellister for many years, Kristine has recently made the switch to GHFS to focus on Longsword.